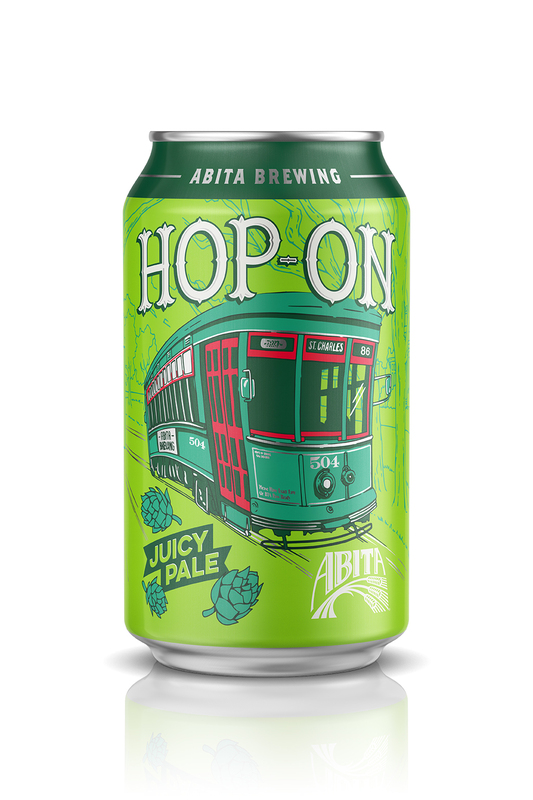 Abita Hop-On is a full-bodied “juicy pale,” packed with Cascade, Citra and Ekuanot hops to deliver refreshing tropical and citrus notes. It pours a vibrant light gold while the unique brewing process produces a distinctive haze. It’s also super food-friendly, great with seafood ceviche, fresh fruit or a nice aged cheddar. Give Hop-On a try and enjoy our brewmaster’s latest journey.